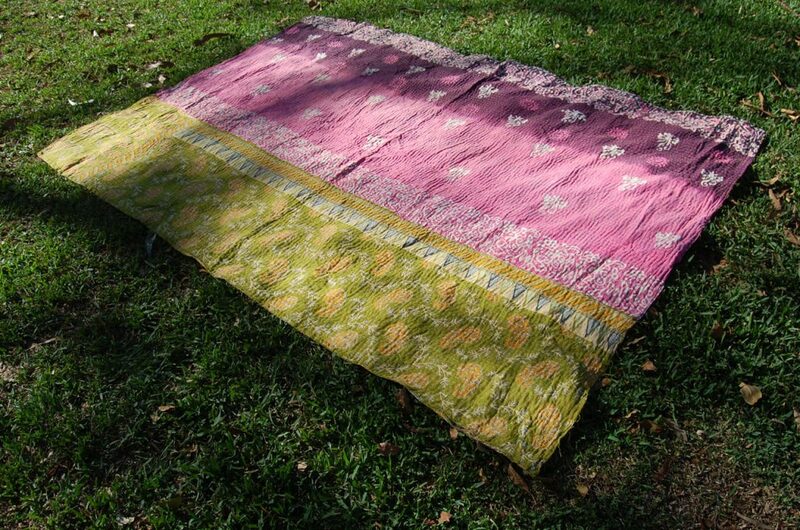 AASHNI’s wonderful combination of soft cotton vintage saree fabric of purple, pink and green, with white and coloured thread in yellow make this light weight kantha a lovely addition to a room – very easy on the eye and easily matched to other decor with it’s simplicity, if you want to add some colour and hippie Indian vibe to a space. 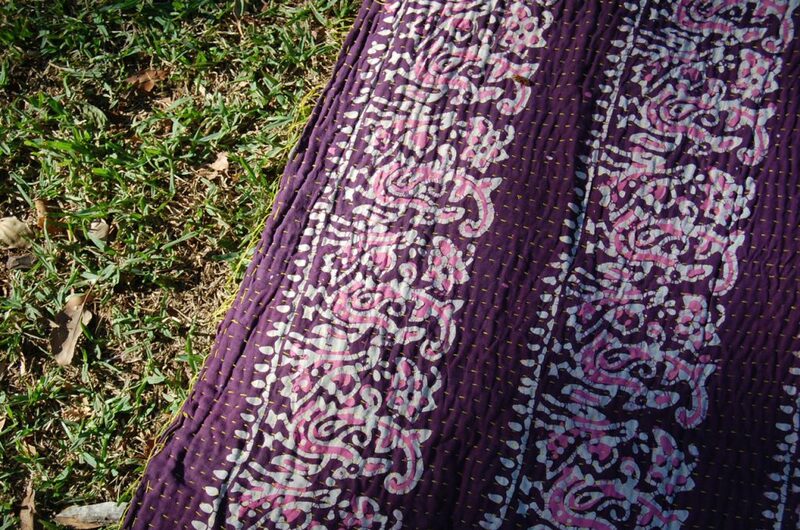 This cotton throw is great as a bed blanket or throw, or for the couch or hippie Indian tapestry for the wall. 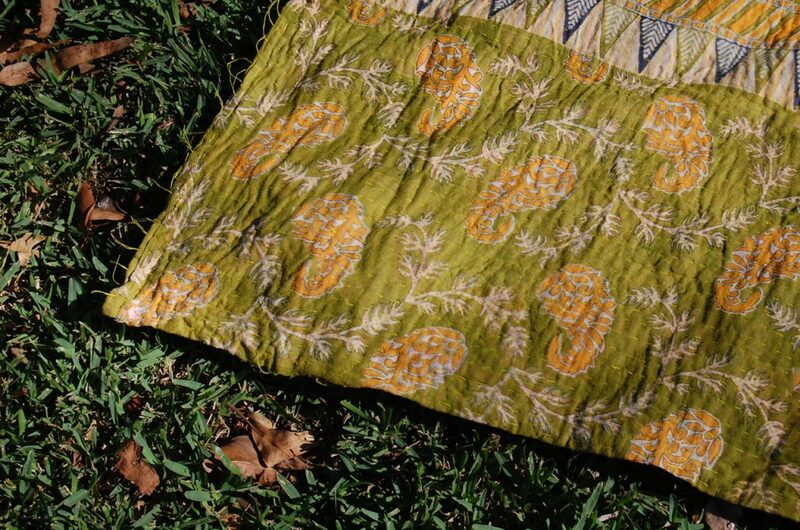 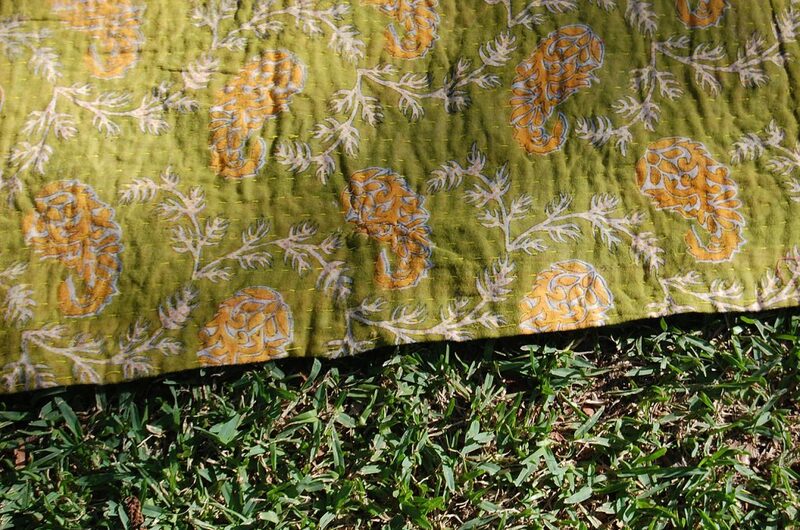 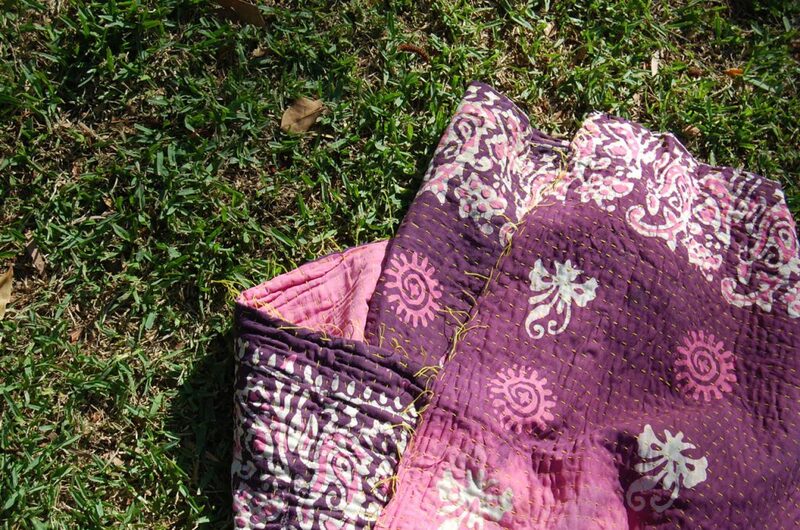 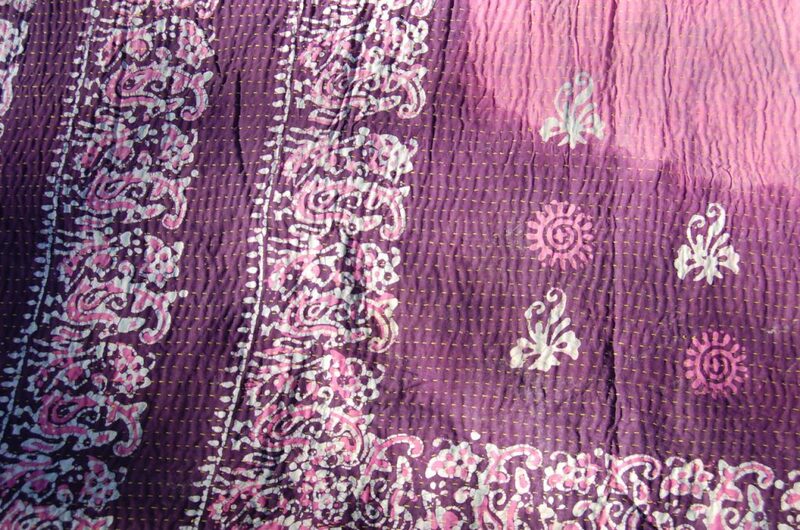 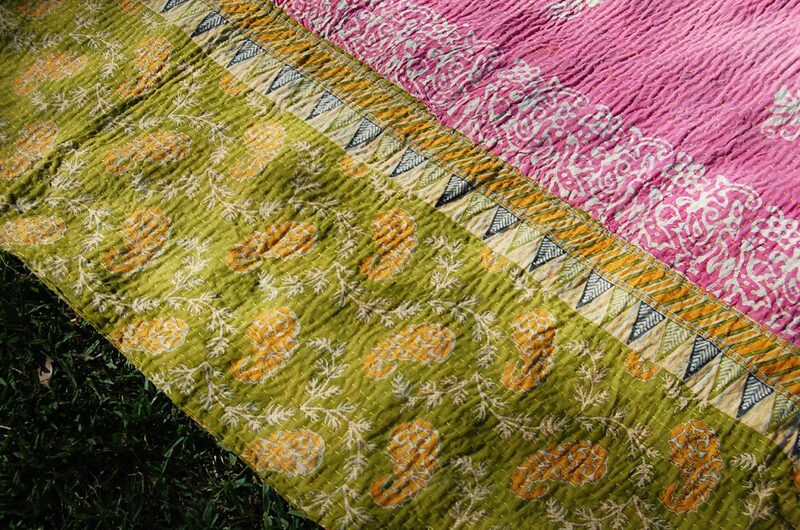 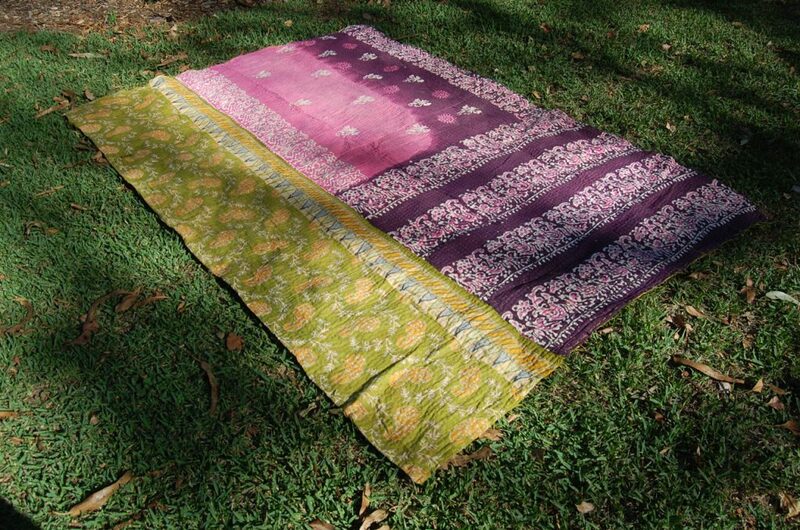 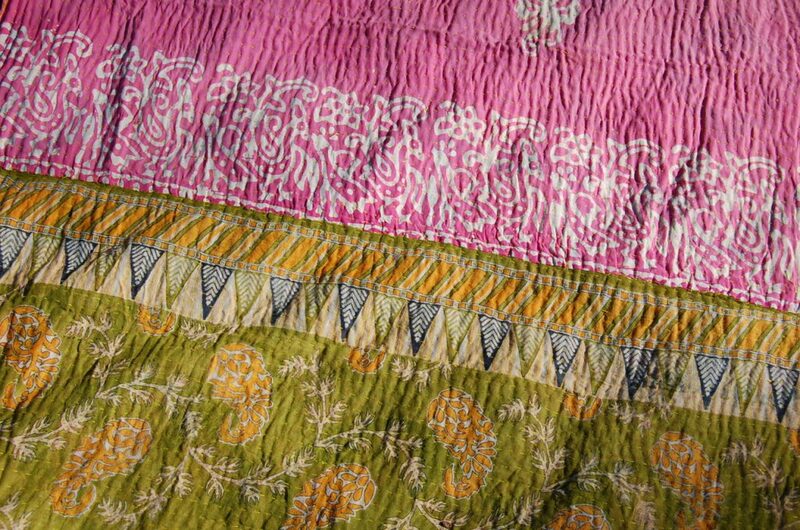 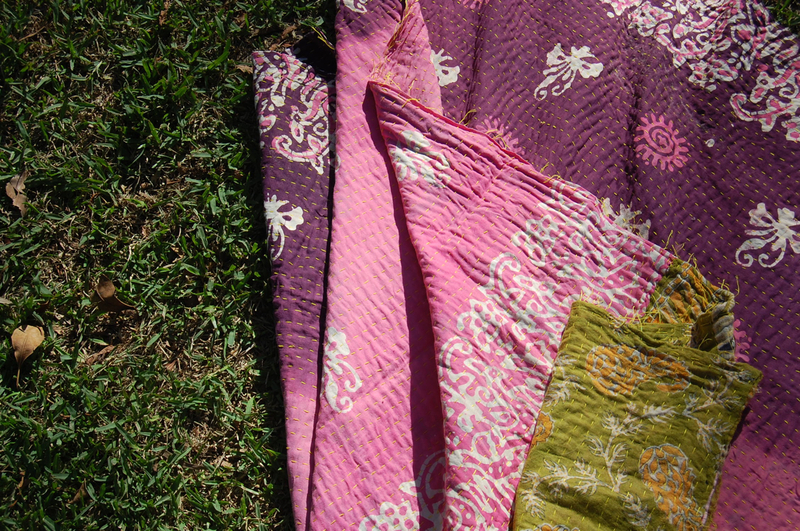 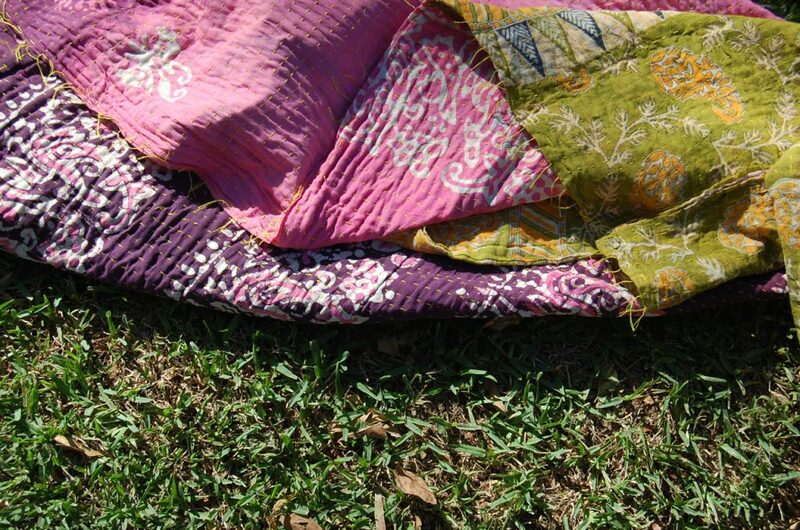 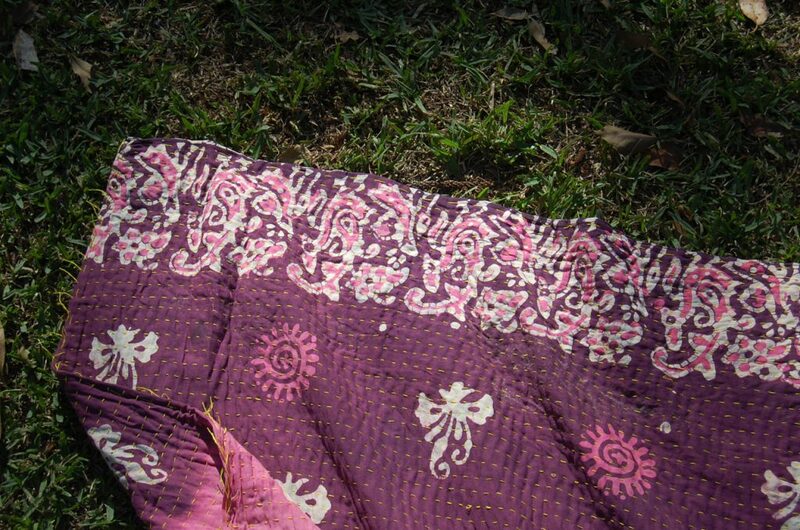 Available on its own or in a Kantha Pack – shop here.